Guardian of the Golden Gate Bridge, Author, Veteran. The bridge between suicide and life sums up former officer Kevin Brigg’s job patrolling the Golden Gate Bridge for 17 years with the California Highway Patrol. During that time he encountered hundreds of troubled people who had lost hope and were ready to end their lives. His negotiating techniques, compassion and innate listening ability helped save many lives. He has authored a book about his experiences, and speaks around the world promoting mental health awareness. His story was recently optioned by Hollywood. As an international Crisis Management, Suicide Prevention, and Leadership Skills presenter, Sergeant Kevin Briggs’ story and lived experiences have been featured in numerous publications, on TV and radio and as a TED Talk. His first book, Guardian of the Golden Gate: Protecting the Line Between Hope and Despair, was released in July 2015. 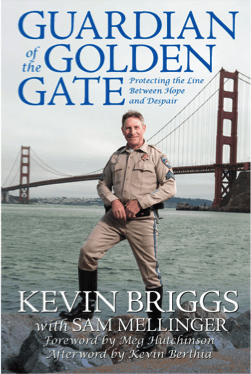 Briggs is a retired California Highway Patrol sergeant who spent many years patrolling the Golden Gate Bridge. While on patrol, he encountered numerous individuals clinging to life by a thread – individuals who had lost hope and could see no way out of their current situation – ready to jump off the bridge to what they assumed was a sudden death and ending of their pain and hopelessness. 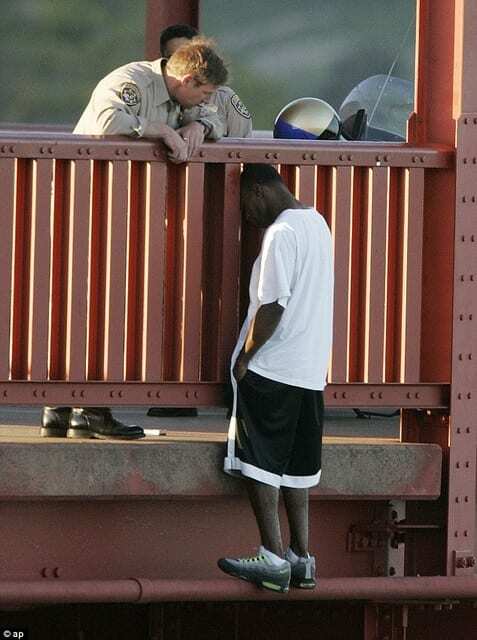 Briggs, through his compassion, gentle voice, eye contact, and his innate ability of “listening to understand” encouraged more than 200 individuals over his career to either not go over the bridge’s rail or come back to solid ground from where they had been standing precariously out on the chord of the bridge and start a new chapter in their life. 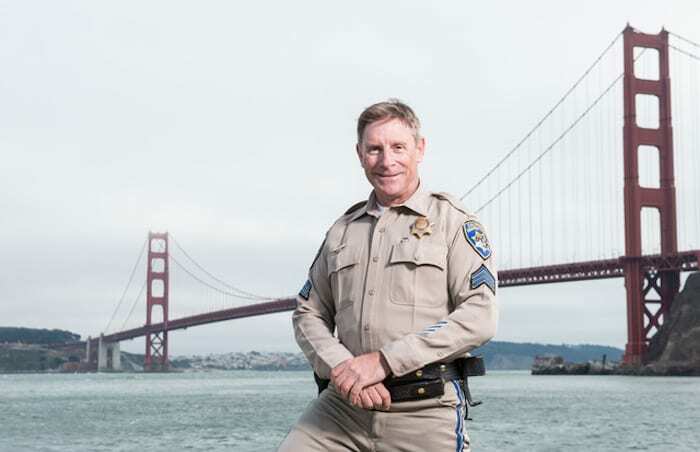 These challenging, but rewarding efforts earned him the nickname “Guardian of the Golden Gate Bridge.” After a 23-year career with the California Highway Patrol, Briggs retired to dedicate his life to promote mental health awareness. Briggs speaks publicly about initially not having the right kind of professional training to effectively assist persons in crisis when he first began work as a patrol officer. Over time and using all the things he learned, Briggs found a positive way to approach people in crisis, using listening skills he practiced finding the “thread” that would encourage individuals to find hope for tomorrow and allow them to make the decision to live for another day. He is a mental health consumer himself – Briggs suffers from depression related to his highway patrol officer and work leader experiences (including a motorcycle accident in which he was severely injured), as well as losing his grandfather to suicide, and other personal and family experiences. Today, Briggs speaks publicly about his suicide prevention and crisis encounters with people on the bridge. For healthcare providers he shares his “Listening to Understand” skills followed up with key active listening points for anyone to use; his personal triad for healthy living; his RELEASE model to assist anyone in crisis; his crisis plan, and his personal mental health struggles while serving in the Army, as a police officer, as a cancer survivor, as a family member and father, and as a leader and co-worker. He has spoken to many national and international advocacy groups and has received numerous honors and awards for his contribution to mental health. This presentation saves lives! – it did mine. The speech was very empowering. I appreciated getting to see various perspectives of how first responders help people. Excellent.